5 Beds 5 Baths 1 Partial Bath 3,799 Sq. 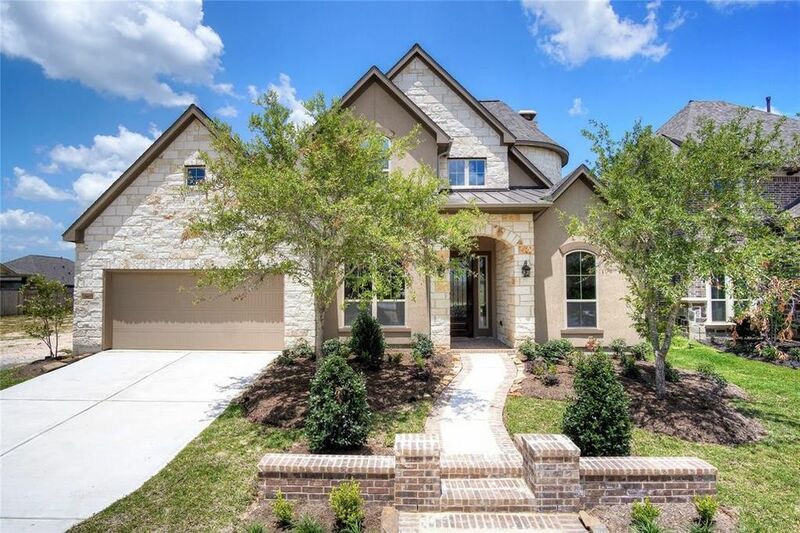 ft.
Ravenna Homes presents this exceptional home that features a 2-story floor plan features 21' ceiling entry that extends past study and powder bath. Oversized 17'x23' family room with 21' ceilings, corner fireplace, and full wall of windows. Open kitchen features 42" raised panel cabinets, granite countertop island, and hi-bar seating. Master bath includes a 6' garden tub, separate shower, His & Hers vanities, and dual walk-in closets. Located upstairs are 2 bedrooms, 2 baths, media room and a game room. Directions: From I-10W, exit Fry Road and turn right, follow Fry Road, left on Bridgeland Creek Pkwy and look for model home at 16211 Inca Dove Ct.